Rhinoplasty, or nose surgery, is one of the most popular plastic surgery procedures performed in the United States; the American Society for Aesthetic Plastic Surgery reports that 126,000 rhinoplasty procedures were performed in 2011 (more than 24,000 were for men). The surgery improves the appearance of the nose or corrects functional problems that compromise breathing. 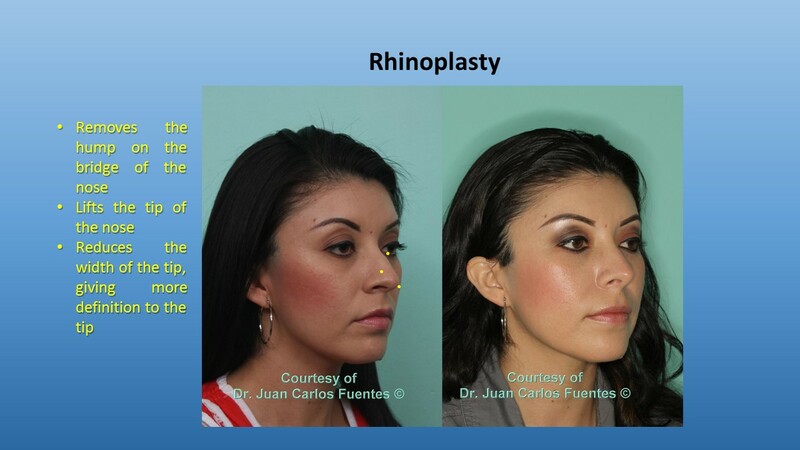 Many patients looking for rhinoplasty in Mexico choose to have the surgery performed by board-certified Tijuana plastic surgeon Dr. Juan Carlos Fuentes. Dr. Fuentes is an expert at reducing the size of the nose to make it more proportional to the rest of the facial features through removal and sculpting of the nasal tissues. Am I a Candidate for a Nose Job? You may be a suitable candidate for a nose job in Mexico if you want to bring your nose into better proportion with the rest of your facial features, or reduce the size of an overly large or wide nose. Nose jobs can correct a crooked nose, overly arched or “Roman” nose or an elongated tip. Nose jobs may be performed to treat breathing problems or a deformity, or to restore the nose after an accident. To begin the rhinoplasty procedure, Dr. Fuentes makes surgical incisions to access the underlying structures of the nose. Then, he will reshape the cartilage and bone and make any other alterations to the nasal structure. Tijuana nose surgeon Dr. Fuentes uses either the open or closed technique. During an open rhinoplasty, he makes an incision on the strip of skin separating the nostrils (called the columella). In a closed rhinoplasty, the incisions are made within the nostrils. Each approach has its own advantages; for example, an open rhinoplasty allows him better control over the outcome, while a closed rhinoplasty will heal faster and not leave any scars. Dr. Fuentes and the rhinoplasty patient will discuss the best approach during the initial surgical consultation. To view results from our previous Tijuana rhinoplasty patients, visit our nose job before and after gallery. Protect the nose from sun exposure for the year following the surgery. Tape corrective glasses up and off of the nose during rhinoplasty recovery. Refrain from smoking for several weeks before and after surgery. Report any potential problems or complications to Dr. Fuentes as soon as you notice them. For more information about rhinoplasty in Mexico, please contact Tijuana plastic surgeon Dr. Juan Carlos Fuentes for a consultation. Dr. Fuentes can be reached by email or by calling (619) 202-4443. 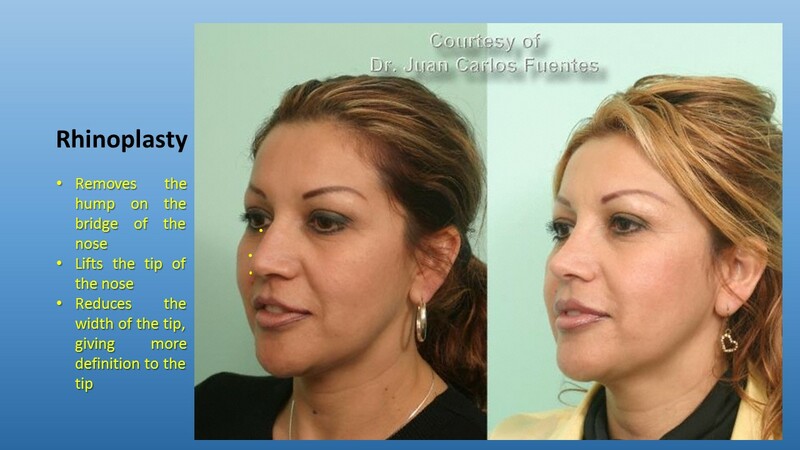 Dr. Fuentes is a skillful facial plastic surgeon, treating rhinoplasty, facelift and eyelid surgery Mexico patients. In addition to specializing in facial procedure, he is an experienced Tijuana breast implants surgeon, and a leading provider of tummy tuck, and liposuction in Mexico.